Worlds 2017 continues with the Knockout Stage! 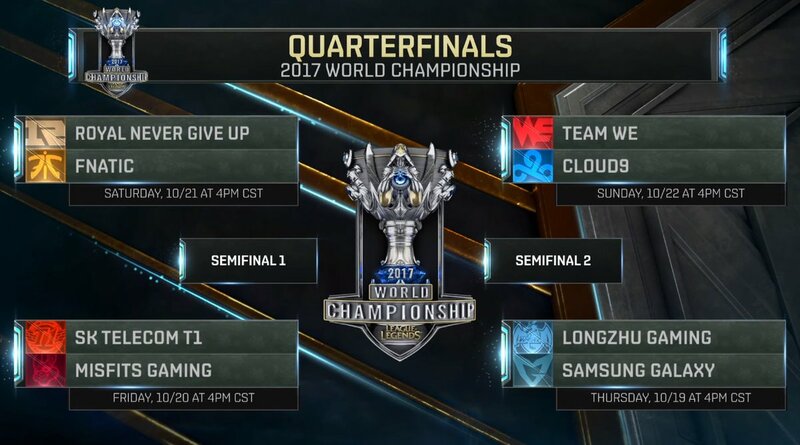 The Quarterfinals run from October 12th to October 15th. In the Quarterfinals, the remaining 8 teams will be playing best of 5 matches. For a full rundown on Worlds 2017's multiple stages, check this article here!